Angels are a leitmotif in Bereft. 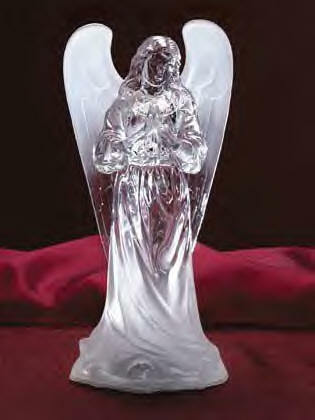 Rafe’s mom, Ursele, begins to obsessively collecting glass angel figurines, believing that they are guarding her against “dark energy.” To Rafe, her collection takes on a sinister meaning. His mother likes the angels a little too much….and begins speaking to them. Above is a picture of one the glass angels I imagine would be in Ursele’s collection.